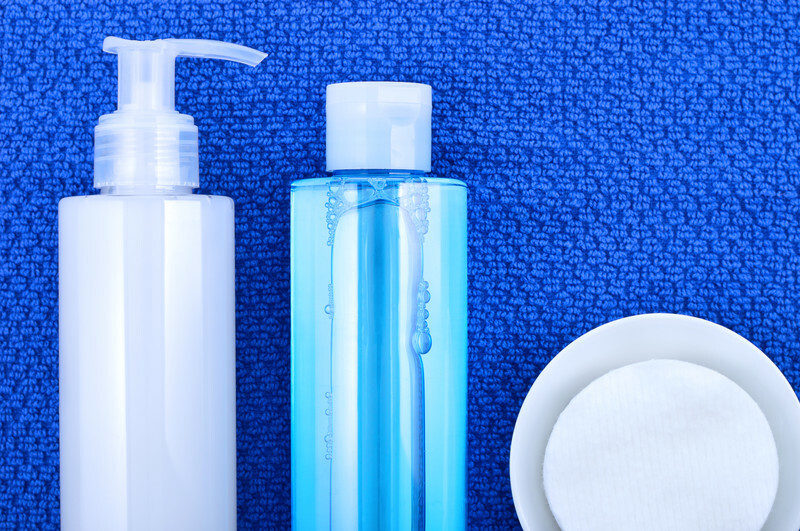 There are basic steps that should be taken when caring for your skin: cleansing, toning and moisturizing. It is important to consider each step so that your skin is cared for properly and looks and feels as healthy as possible. The first step is cleansing your skin. This is an important foundation step because if your skin is not clean, your pores can become clogged, which can lead to pimples. Choose a gentle cleanser made for your skin type that won’t strip your skin and leave it dry. You can use cream based cleansers, liquid soaps, handmade bar soap (which are much more gentle and don’t dry out your skin as store-bought ‘detergent bars’). Cleaning helps to dissolve makeup, remove dirt, oil and grime that can build up on your face throughout the day. Be sure to clean your face at night before bed, so you don’t have all that dirt sitting on your skin and clogging pores during the night. I know, I know, when you are tired at night from a busy day it seems the last thing you want to do is to wash your face when that comfy bed is calling you but take a few minutes to take care of your face. It will love your for it! To clean your face, gently massage the skin in small, circular and upward motions. Cleanse both your face and your neck. Do not rub too hard, and do not tug on your skin. Rinse with warm, not hot water, and gently pat your skin dry. Remember that the skin on your face is much thinner than the skin on the rest of your body, so be sure to treat it gently. The next step is toning. Toner helps to balance the pH of your skin and remove any last traces of makeup and dirt. Put a little toner onto a cotton ball and gently swipe across your face, avoiding the eyes. The final step is moisturizing. A moisturizer helps to soften and soothe your skin and replace natural oils that are removed from the cleansing step. They also help to lock moisture into your skin. To apply moisturizer, take a small amount and gently massage into skin using gentle, upward strokes. Never pull down on your skin, and don’t forget to also moisturize your neck. And there you have it in one-two-three! So simple and your face will thank you! Thank you for adding that post you wrote. Great information!